American terrorism expert Brian Jenkins wrote these words in 1974, and for nearly three decades this was common wisdom. The lethality of terrorist groups, Jenkins argued, was a product not simply of limited access to weapons, but also self-restraint. They damage group cohesion through the revulsion the group’s own members feel. They alienate the terrorist group’s constituents and supporters. They spark public outrage and harden attitudes among the terrorists’ target population. This outrage triggers intense government crackdown on the group and its supporters, putting the movement’s very survival at risk. Clearly things have changed, as today’s massacre of 49 people in terrorist attacks at two mosques in Christchurch, New Zealand demonstrate. But the attacks today add a deeply troubling new dimension that shows how far the pendulum has swung from that earlier understanding. The alleged terrorist, a 28-year-old Australian white supremacist named Brenton Tarrant, live-streamed video of his attack while it was in progress. It then metastasized, almost instantaneously, across the Internet. The New Zealand massacre video, which appeared to have been recorded with a GoPro helmet camera, was announced on the fringe chat room 8chan, live-streamed on Facebook, reposted on Twitter and YouTube and discussed on Reddit. 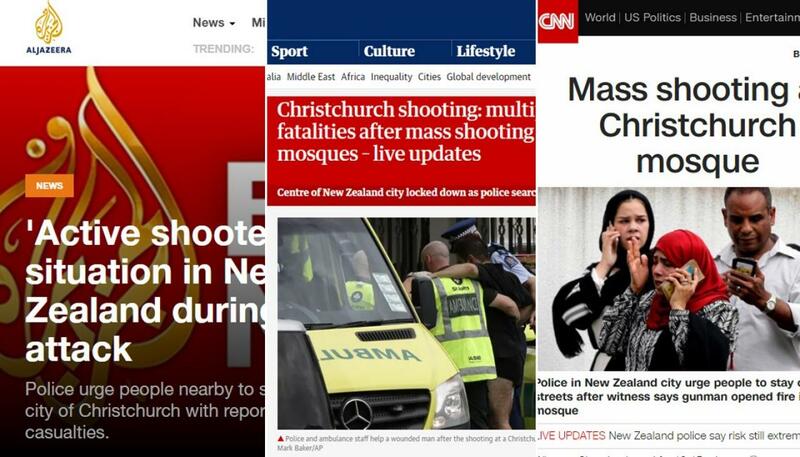 Even hours after the shooting, the social-media giants Facebook, Twitter and YouTube continued to host versions of the shooting video, even as New Zealand authorities said they were calling for it to be taken down. Ahead of the attack, Tarrant posted online a 74-page manifesto in which he described himself as an ethnonationalist and a fascist, rants about “white genocide,” and spews anti-immigrant hate. (I will not post any link to his manifesto here, nor quote his words.) And, as one terrorism scholar pointed out on Twitter, he orchestrated an online media blitz to spread his message as widely as possible. Today’s attacks in New Zealand are vivid examples of the changed face of terrorism and the perverse synergies between readily available means of mass killing and access to communications technologies that allow for near-instantaneous dissemination of the terrorists’ message. Mass casualties have become the means by which the terrorist cuts through the noise and static of our oversaturated media environment. To publicize the cause it is no longer enough to simply kill “a single man in Algiers which will be noted the next day by the American press,” as Ramdane Abane once said in explaining the FLN’s decision to initiate a campaign of urban terrorism in French-occupied Algeria in the 1950s. Changes in both the organizational structure of terrorist movements and in the types of ideologies that motivate them have also immunized terrorists from what were assumed to be the negative consequences of killing too many people in too horrific a fashion. Radicalized and networked individuals and self-contained cells following the doctrine of leaderless resistance and moving within extremist online circles where mass casualty attacks are hailed, not reviled, have little fear either of alienating fellow true believers or that a government crackdown will silence their movement. That’s why, writing in 2007, Brian Jenkins updated his earlier dictum to reflect a new reality — many of today’s terrorists want a lot of people watching and a lot of people dead. New Zealand is now a case in point.